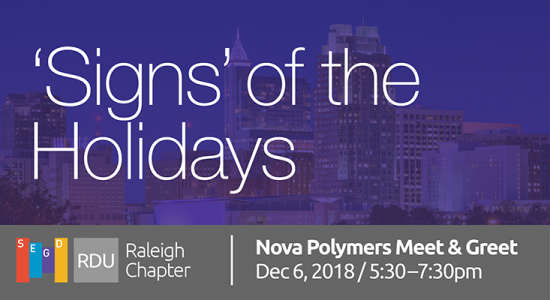 Join us for a winter-holiday celebration on Thursday, December 6 at Little in Durham hosted by Bob Greenberger from Nova Polymers. The evening kicks-off with a 45-minute presentation about current US ADA /Accessibility requirements as it relates to room ID signs, and education about technical specifications for Accessible/ADA-compliant photopolymer signage. We’ll then break-off into a social to share ideas for our Chapter’s 2019 events calendar. 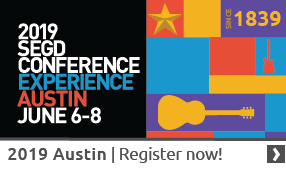 One lucky individual will walk home with a coveted, design-inspired door prize. Will it be you?